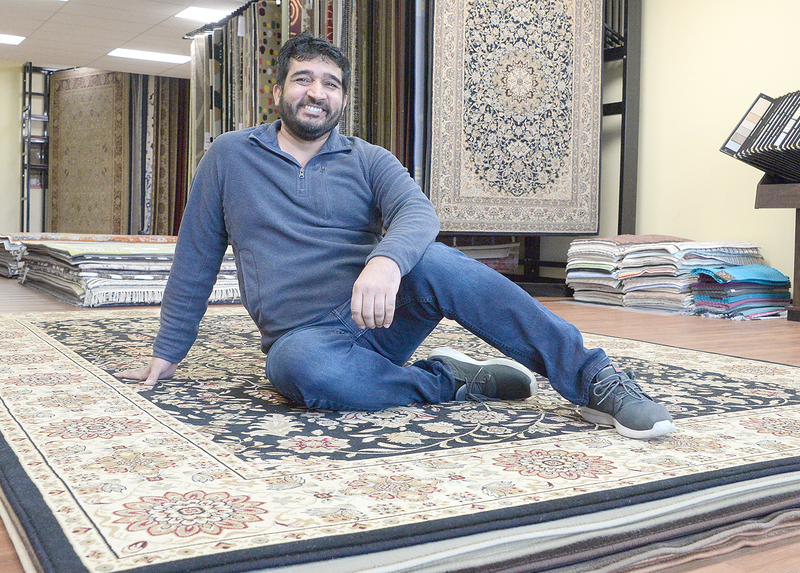 Shiv Hari was the owner and manager of two gas stations in the area but decided to open a new business, Lincoln Rug Gallery, on Route 9 at St. John’s Plaza in Halfmoon. Lincoln Rug Gallery has opened at 1683 Route 9 at St. John’s Plaza in Halfmoon. Sole proprietor Shiv Hari was the owner and manager of two gas stations in the area for the past six years, but decided to make a career change into retailing. His research revealed a demand for hardwood flooring and area rugs of high quality, he said. Hari learned from his uncle different types of rugs and what to look for in quality. Finding the right location was one of his biggest challenges, and again his uncle guided him. Located near some large furniture stores and Home Depot, Lincoln Rug Gallery can easily be seen by homeowners and builders traveling on Route 9. Hari said he searched locations all over Albany, Rensselaer and Saratoga. Hari has contacted interior designers to offer their customers personalized designs in both wool and viscose carpeting for smaller areas or an entire floor. The area rugs available at Lincoln Rug Gallery are unique, according to Hari, and unavailable online or at local big box stores. Customers can avoid all the mistakes of buying the wrong product or the wrong size by coming into the shop. Here they can experience first hand the color, quality and texture of a product they will live with for years to come, said Hari. “Once people come in they are mostly likely to come back if we offer value, service and an affordable price for the quality of what they are getting,” he said. Lincoln Rug Gallery also sells household accessories such a throw pillows, bath mats and towels, and Egyptian cotton bedsheets. The phone number is 518-888-1744.